Twin-to-twin transfusion syndrome (TTTS) is a rare condition that may affect identical twins who share a common placenta (monochorionic twins). The condition is caused by an inequality in the blood supply between the two fetuses as a result of abnormal blood vessel development in the shared placenta. One twin may have an insufficient blood supply to provide the necessary nutrients to survive or grow normally. Early detection is critical to help improve outcomes for both babies and their mother in this high-risk pregnancy. 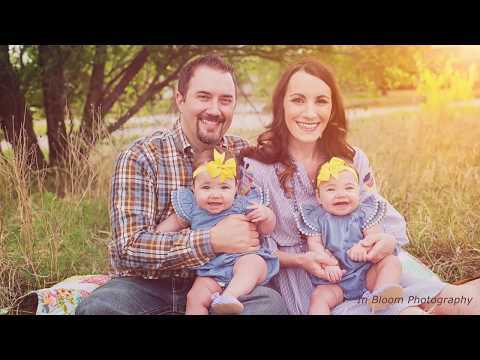 Watch the Jones family describe their experience with twin-to-twin transfusion syndrome and how doctors at Fetal Care Center Dallas saved the lives of both babies. Twin-to-twin transfusion syndrome (TTTS) is a rare, life-threatening condition in which the blood flows unequally between twins who share a placenta. The condition is caused by an inequality in the blood supply between the two fetuses as a result of abnormal blood vessel development in the shared placenta. One twin may have an insufficient blood supply, which results in an inadequate amount of necessary nutrients to survive or grow normally. Although TTTS can occur at any time during pregnancy, even while a mother is in labor at term, it most often arises in the second trimester of pregnancy. When it appears early in pregnancy (around 12-26 gestational weeks), it is known as chronic TTTS. These cases are the most serious because the babies are generally too immature to be delivered successfully. The twins also have more time in the womb to be affected by the abnormalities present with TTTS. Without treatment, babies affected by chronic TTTS are the most likely to not survive or to have handicaps or birth defects. Acute TTTS describes those cases that occur suddenly, when the blood pressures between the twins begin to vary greatly. This may occur in labor at term or during the last trimester of pregnancy. Acute TTTS twins may have a better chance to survive because of their advanced gestational age, but may face a greater chance of surviving with handicaps. Our extensive experience in caring for monochorionic twin pregnancies at Fetal Care Center Dallas enables us to differentiate between conditions such as TTTS and TRAP sequence or intrauterine growth restriction, all of which require close monitoring by a skilled maternal-fetal medicine team. Features of twin-to-twin transfusion syndrome include twins of the same gender, an obvious size difference between the twins due to unequal sharing of blood and fluid through the common placenta, and a difference in the volume of amniotic fluid surrounding the two fetuses. One twin (the donor twin) circulates blood to the other twin (called the recipient). This causes the recipient twin to receive too much blood and the donor twin to receive too little. The increased blood volume causes the recipient twin to produce an overabundance of urine, which can result in an overly large bladder, too much amniotic fluid and a very large amniotic sac. Because the recipient twin has so much blood in its body its circulatory system may become overloaded, causing prenatal heart failure (hydrops). The donor twin, who receives too little blood, may stop producing urine and will become anemic. This may result in a small amniotic sac and a small or absent bladder. Without intervention, the condition can be fatal for both twins. It also puts the mother’s health at risk. As the recipient twin tries to deal with excess fluid retention by creating more and more amniotic fluid, the mother’s uterus may become overstretched. This may cause the mother discomfort and can put pressure on the cervix, the lower part of the uterus. The cervix may open or the membranes may rupture from the continuing pressure, resulting in miscarriage or preterm delivery. This often occurs at an early gestational age where the chances for survival are poor. It is important for mothers who are diagnosed with monochorionic twins is be closely monitored for possible signs of TTTS. The Fetal Care Center Dallas team is highly skilled in the early detection and treatment of twin-to-twin transfusion syndrome. Management of Twin Twin Transfusion Syndrome (TTTS) is one of the most challenging clinical problems concerning multiple gestations. Approximately 20% of all twin pregnancies are monochorionic, and the incidence of TTTS in monochorionic diamniotic gestations is approximately 10-20%. The natural history of severe TTTS is well established with mortality approaching 80-100% if left untreated, especially when it presents at less than 20 weeks’ gestation. This is particularly troublesome given that two structurally normal fetuses are involved. Twin-twin transfusion syndrome (TTTS) is a complication of monochorionic multiple gestations in which the circulation of one twin communicates with the circulation of the other twin. Acute clinically relevant TTTS is rare and usually occurs during delivery and is associated with an acute hemodynamic incident such as cord compression or rupture of a vessel as in vasa previa (1,2). In these instances, the twins are usually of similar birth weight but due to acute shift of blood through large chorionic plate vascular anastomoses, usually veno-venous, one twin is pale and the other twin is plethoric. Chronic TTTS, is a condition usually presenting in the 2nd or 3rd trimester is thought to be a condition of sustained net imbalance of blood volume transfused from one twin to the other across the monochorionic placenta via intertwin vascular anastomoses. By convention, this results in one twin becoming hypovolemic with reduced urine output and reduced amniotic fluid volume referred to as the donor twin. The recipient twin is usually hypervolemic, with polyhydramnios and cardiac changes of hypertrophic cardiomyopathy. TTTS is thought to complicate between 10% and 15% of all monochorionic pregnancies but there is a broad range of reported incidences ranging from 4% to 35% of monochorionic gestations in the United States (3). This broad range is thought to be due to differences in clinical criteria used to make the diagnosis (4). Severe TTTS is thought to complicate between 5% and 17.5% of cases of monochorionic gestations(5). TTTS is a clinical syndrome that is diagnosed sonographically with differences in amniotic fluid volume between the twins, the so called “poly-oli” ot twin oligohydramnios polyhydramnios syndrome. In severe TTTS the donor twin becomes progressively hypovolemic developing oliguria and oligohydramnios due to decreased renal perfusion often accompanied by characteristic abnormal umbilical artery Doppler velocimetry changes. The oligohydramnios, or anhydramnios may restrict donor fetal movement and as it becomes more closely enwrapped in its own amnion it appears “ stuck” to the uterine sidewall or placenta (ie “stuck twin” syndrome). In contrast, the recipient twin becomes hypervolemic and hypertensive leading to polyhydramnios with cardiac hypertrophy and may exhibit abnormal venous Doppler studies due to progressive ventricular hypertrophy and worsening diastolic compliance. Both twins are adversely affected in TTTS and hydrops fetalis can develop in either twin. In the recipient twin this is due to progressive congestive heart failure. If left untreated, severe TTTS has an 80 to 100% mortality rate particularly if it is detected before 20 weeks gestation (6,7). Prior to the development of ultrasonography the criteria for diagnosing TTTS were derived from neonatal experience with the condition in which a hemoglobin difference of >5 g/dL in neonatal hemoglobin value and >20% discordance in weight was seen between the twins. These classic discrepancies between weight and hemoglobin are now appreciated to occur in fewer than 25% of cases detected by ultrasound (8,9). The diagnosis of TTTS is one of exclusion made on the basis of amniotic fluid discordance in which the recipient twin has a deepest vertical pocket (DVP) of > 8 cm and the donor twin has a DVP of < 2 cm (10). One must be careful however, to exclude conditions which may mimic TTTS including selective intrauterine growth restriction (IUGR), viral infection, preterm premature rupture of membranes. TTTS can be complicated by sIUGR in up to 65% of cases which may present a challenge in distinguishing isolated sIUGR from TTTS complicated by sIUGR. In isolated sIUGR the unaffected twin is likely to have normal amniotic fluid volume while the affected twin may have olighydramnios or even anhydramnios. There may be discordant amniotic fluid volumes between the two sacs but the DVP values must meet the diagnostic criteria in order to make a diagnosis of TTTS. A caveat to the diagnostic criteria are those cases presenting prior to 18 weeks’ gestation in which a DVP > 6 cm is considered diagnostic of TTTS when the donor sac DVP is < 2 cm. In addition to discordance in amniotic fluid volumes in the twins may show characteristic Doppler velocimetry changes which, while not diagnostic, are consistent with the diagnosis or TTTS which include absent end diastolic umbilical artery flow in the donor umbilical artery, loss or reversal of the a wave of the ductus venosus and venous pulsations of the umbilical vein. These are not specific to TTTS and can be seen in other conditions as well. There is a spectrum of severity of TTTS and amniotic fluid discordance may be present but may not meet the strict criteria for TTTS, ie a DVP in the recipient sac of 7 cm and a DVP in the donor sac of 3 cm. We would characterize this presentation as possible “incipient TTTS) as the strict amniotic fluid criteria have not yet been met. Confidence that we are dealing with TTTS, albeit in an incipient form, can be obtained from fetal echocardiographic assessment. Even in incipient TTTS there are often findings on the fetal echocardiogram in the recipient heart consistent with TTTS cardiomyopathy. The most common observations are abnormal compliance of the right ventricle with fusion of the a and e waves giving a monophasic inflow pattern. In addition, mildly elevated Tei myocardial performance index values may be observed in the right ventricle of the recipient (11). These values may be at the upper limits of normal to mildly abnormal (ie 0.4 to 0.52). In these early cases of TTTS the LV is almost never involved and significant hypertrophy or valvular incompetence are rarely seen. The lack of agreement on specific diagnostic criteria to define midgestation TTTS and the influence of older neonatal criteria have hampered understanding of its pathophysiology and slowed the development of more effective treatment strategies. The donor twin is characterized by oliguria, oligohydramnios or anhydramnios, growth restriction and abnormal umbilical artery Doppler velocimetry. The recipient, on the other hand, is characterized by polyuria, polyhydramnios, abnormal venous Dopplers, cardiac enlargement/failure, and eventually hydrops. Clinicians caring for women with monochorionic pregnancies should have a strong clinical suspicion for TTTS (Figure 1). Sonographic signs of monochorionic diamniotic twins include a single placenta, a thin dividing membrane, a “T”-sign, and gender concordance. Before ruling out monochorionic diamniotic twins in the case when no dividing membrane is seen, a diligent search for a thin membrane tightly wrapped around one twin should be performed. Although not all of the following sonographic criteria are necessary for a diagnosis of TTTS, the following findings are suggestive of the diagnosis: 1) monochorionicity associated with: 2) discrepancy in amniotic fluid between the amniotic sacs with polyhydraminos of one twin (largest vertical pocket greater than 8 cm) and oligohydraminos of the other (largest vertical pocket less than 2 cm), 3) discrepancy in size of the umbilical cords, 4) presence of cardiac dysfunction in the polyhydramniotic twin, 5) characteristically abnormal umbilical artery or ductus venosus Doppler velocimetry, and 6) less specifically, significant growth discordance (often >20%). Though criteria for TTTS diagnosed in utero were initially derived from neonatal criteria relying on discordant weights (usually >20%) and hemoglobin levels (usually difference of more than 5 g/dL) between the twins, subsequent literature demonstrates that hemoglobin discordance is often not present in mid-gestation and advanced TTTS may be present before the threshold of 20% weight discordance is reached. In addition to careful sonographic follow-up, mothers of monochorionic diamniotic twins should be alerted that rapid uterine growth, premature contractions and dyspnea may be symptoms of polyhydraminos. The differential diagnosis of TTTS includes uteroplacental insufficiency, growth disturbances due to abnormal cord insertions, intrauterine infection, preterm premature rupture of membranes of one twin, and discordant chromosomal or structural anomalies of one twin. Quintero et al. (1) proposed a staging system for TTTS that considers a sequence of progressive sonographic features. The individual stages are described as follows: Stage I) polyhydraminos in the recipient, severe oligohydraminos in donor but urine visible within the bladder in the donor; Stage II) polyhydraminos in the recipient, a stuck donor, urine not visible within the donor’s bladder; Stage III) polyhydraminos and oligohydraminos as well as critically abnormal Dopplers (at least one of absent or reverse end diastolic flow in the umbilical artery, reverse flow in the ductus venosus or pulsatile umbilical venous flow) with or without urine visualized within the donor’s bladder; Stage IV) presence of ascites or frank hydrops (fluid collection in two or more cavities) in either donor or recipient; Stage V) demise of either fetus. This staging system was descriptive but had not been validated as prognostically important. Taylor et al (2) applied the Quintero staging system to a population treated with serial amnioreduction, septostomy and selective reduction alone or in combination. Taylor et al. found no significant influence of staging at presentation with survival in his conservatively treated group. Survival was significantly poorer where stage increased rather than decreased. These authors concluded that the Quintero staging system should be used with caution for determining prognosis at the time of diagnosis, but may be better suited for monitoring disease progression. A subsequent larger study from the same institution, however, showed that Quintero stage at presentation, at first treatment and at worst stage did in fact predict both perinatal and double survival but not survival of any twin (4). Duncombe et al. also showed a correlation of Quintero stage at initial presentation and perinatal survival (10). The Quintero staging system provides a useful shorthand to describe the progression of TTTS along a spectrum of severity. However, it has potential limitations in its use in guiding therapy. In patients who present at Stage I with only amniotic fluid discordance, it may be difficult to know with certainty if they actually have TTTS. Patients with Stage II are usually thought to be only in the early stages of the disease. The largest group of patients tends to fall into Stage III. This stage, however, comprises a very broad spectrum of severity. At one end are patients whose only hemodynamic derangement is abnormal Doppler velocimetry, and at the other end of the spectrum are patients in whom the recipient twin has severe twin-twin cardiomyopathy. The latter patients may be premorbid without the development of hydrops (which would be Stage IV disease). We have used fetal echocardiographic assessment of the recipient twin to stage these patients (Figure 2). This is in keeping with the view that, fundamentally, TTTS is a hemodynamic derangement. Fetal echocardiograms can distinguish degrees of severity amongst Stage III TTTS. Echocardiographic features include presence and severity of atrioventricular valvular incompetence, ventricular wall thickening and ventricular function as assessed by the Tei index (3,11). In a small series of cases of TTTS, 64% Quintero Stage II patients had significant TTTS cardiomyopathy and were upstaged to Stage III disease based on echocardiographic findings (5). The upstaging of patients from Stage I or II to Stage III may influence counseling regarding treatment options. These echocardiographic features are also used to assess response to therapy. If a patient is initially only observed or treated with with a trial of a single amnioreduction, fetal echocardiography can be used to detect progression of TTTS and used as an indication to move on to selective fetoscopic laser photocoagulation (8). The recognition that TTTS cardiomyopathy was a fundamental component of the pathophysiology of TTTS has led others to propose staging systems based on fetal echocardiographic findings. Rychik et al developed the CHOP Cardiovascular Profile Score (CHOP-CVPS) compreised of 12 parameters yielding a score ranging from 0 to 20 (12). The higher the score the worse the cardiac function. The CHOP-CVPS is difficult to establish because it requires and experienced fetal echocardiographer and considerable time to complete the assessment. In studies that have compared the CHOP-CVPS to the Quintero staging system a positive correlation between rising CHOP-CVPS and Quintero stage was observed. The twin-twin transfusion syndrome is a complication primarily of monochorionic multiple gestations mediated through vascular communications and having differential effects on the co-twins; one twin is hyperdynamic whereas the other is hypodynamic. The etiology of TTTS is unknown, but vascular connections on the placenta between the twins are necessary for it to occur. The majority of monochorionic twins gestations have vascular anastomoses between the co-twins, although only a percentage, ranging from 4-17%, develop TTTS. Communications between the recipient and donor twin may be artery to artery (AA), vein to vein (VV), or artery to vein (AV) within a placental cotyledon. Depending on the number and type of anastomoses present, the exchange of blood may be balanced or unbalanced. Shifts in blood flow between the twins may be either acute, as in the case of co-twin demise, or chronic. A true transfusion from one twin to another is unusual in mid-gestation TTTS. Percutaneous umbilical blood sampling performed on twin pairs with TTTS has shown identical hemoglobin values in both twins (6). AV anastomoses consist of a single unpaired artery carrying blood from one twin to a placental cotyledon and a single unpaired vein transporting blood from that cotyledon to the other twin. Most likely, AV anastomoses are primarily responsible for exchange of blood from the recipient to donor twin (7). Bidirectional AA anastomoses, on the other hand, are thought to be protective and, if present in sufficient numbers, able to compensate for the AV mediated intertwin transfusion; VV anastomoses may also be protective although likely shunt less blood due to a lower pressure differential. Recent evidence, in fact, suggests that ultrasound detection of an AA anastomosis confers a survival advantage in TTTS independent of Quintero stage (3). Though the patients in the study of Tan et al. were treated with various methods including serial amnioreduction, septostomy, bipolar cord occlusion and laser ablation, multiple logistic regression failed to show that first-line treatment modality predicted survival after correction for stage, AA anastomosis and disease progression. For stages I, II and III, detection of AA anastomosis predicted better perinatal (100% versus 63%, 100% versus 59%, 83% versus 44%, presence of AA anastomosis versus absence of AA anastomosis respectively) and double survival rates (100% versus 52%, 100% versus 46%, 78% versus 26%). These authors suggest use of a modified Quintero staging system incorporating the presence or absence of an AA anastomosis. There is mounting evidence, however, that the pathophysiology of TTTS is more complex than mere volume shifts between co-twins. For example, changes in the renin-angiotensin system compound the renal changes initiated by hemodynamic changes in the donor and recipient (3). Angiotensin II usually helps to compensate in the setting of volume depletion. In the setting of TTTS, however, the intrarenal vasoconstriction mediated by angiotensin II following upregulation of renin synthesis and release may exacerbate oligohydraminos. Donor fetuses after demise have increased renin synthesis and renal tubular dysgenesis (8). While recipient fetuses demonstrate down regulation of renin expression, glomerular and arterial lesions in the kidneys are suggestive of hypertension-induced microangiopathy. These findings suggest that hypertensive changes in the recipient twin may be due to vascular shunting of renin from the donor (8). It is not clear whether alterations in the renin-angiotensin system are primary or secondary effects of TTTS. Consistent with the hypothesis that hypertensive mediators play an important role in TTTS is the finding by Bajoria et al. of elevated levels of endothelin-1, a potent vasoconstrictor, in the serum of recipient twins 2.5-fold higher than in donor twin (13). Moreover, plasma endothelin-1 levels were significantly higher in the recipient twins with hydrops than those with mild or no hydrops (13). Endothelin-1 may also be important for the regulation of amniotic fluid volume, both by itself and in the pathway leading to higher human brain natriuretic peptide (hBNP) levels in amniotic fluid (12). Both endothelin-1 and hBNP amniotic fluid levels correlate with amniotic fluid index in TTTS. Recipient twin amniotic fluid levels of endothelin-1 and hBNP are the highest, followed by amniotic fluid levels from non-TTTS monochorionic twins, followed by amniotic fluid levels from donor twins (14). We believe that high levels of vasoactive mediators are preferentially shunted to the recipient twin resulting in hypertension and hypertensive cardiomyopathy. Interruption of vascular communications by selective fetoscopic laser photocoagulation may eliminate the hypertensive stress in the recipient twin by preventing vasoactive mediators from crossing to the recipient. Consistent with this vasoactive mediator hypothesis, we have seen the development of hypertension and hypertensive cardiomyopathy in some donor twins following successful fetoscopic laser photocoagulation. Presumably the vasoactive mediators are shunted toward the donor twin in these cases. In twins with TTTS treated by selective laser photocoagulation, we have echocardiographically observed postoperative resolution of these hypertensive changes in recipient twins over weeks to months. Cardiovascular compromise occurs in most recipient twins and is a major cause of death for these fetuses (3). In addition, cardivascular disease in the recipient twin is a significant indirect contributor to morbidity and mortality in the donor co-twin. Echocardiographic examination of the twins is thus an essential component of the initial work-up of twin-twin transfusion syndrome as well as follow-up evaluation for progression of the disease and response to treatment. In addition, study of short term and long term cardiovascular effects of various therapeutic interventions is critical. Recipient twins can develop a progressive cardiomyopathy. Although both ventricular dilation and myocardial hypertrophy may occur, the latter predominates and typically only mild evidence of dilatation is seen (3,15). Usually the right ventricle (RV) is compromised first and to a more significant degree than the left ventricle (LV) (13). In one study of 28 women with TTTS who received echocardiographic evaluation prior to any intervention, right ventricular and/or left ventricular hypertrophy was detected in 58% of recipient twins, and biventricular hypertrophy was observed in 33% of recipient twins (3). Biventricular diastolic dysfunction was present in two thirds of recipient twins whereas right ventricular systolic dysfunction was present in 35% (6). Atrioventricular valve disease is also common with moderate insufficiency reported in 71% of recipient twins with structurally normal hearts (16). Moderate to severe tricuspid and mitral regurgitation is more common in Quintero stage III and IV patients (3). Peak velocity of tricuspid and mitral regurgitant jets suggests the presence of ventricular hypertension in echocardiographic data from 39 recipient twins (16). Estimates of RV systolic pressure based on tricuspid regurgitant jet velocity are commonly elevated to 60 to 80 mm Hg, and pressures in excess of 100 mm Hg can be seen in severe cases. Fetal echocardiography can also be used to assess the response of the recipient twin to fetoscopic laser surgery providing independent confirmation of successful treatment of the TTTS. Habli et al, have shown that in TTTS successfully treated by fetoscopic laser surgery that there is a >10% improvement in the Tei myocardial performance index on post-operative day 5 which only occurs if thre has been a complete arrest of the TTTS (17). We routinely obtain a post-operative fetal echocardiogram to confirm that the TTTS has been arrested before sending the patient back to her referring doctor. Finally, several cases of acquired pulmonary atresia/stenosis with intact ventricular septum have been described in the recipient twin (3,18). In our own series, we have seen 50 such cases with varying degrees of pulmonary stenosis or pulmonary atresia. Worsening RV hypertrophy, reduced RV systolic function and severe tricuspid regurgitation result in progressively diminished flow across the pulmonic valve, resulting in stenosis or atresia. In one patient undergoing postnatal cardiac surgery, a structurally normal pulmonary valve with adhesed valve leaflets was found. These observations are not consistent with primary structural heart disease but rather acquired valvular atresia/stenosis related to TTTS, a unique form of “acquired congenital” heart disease. Structural heart disease is much more common in monochorionic gestations with an incidence ranging from 8 to 10% (19). TTTS however, appears to be that rare condition that can cause an acquired form of structural heart disease affecting primarily the right ventricular outflow tract (RVOT). In a review of our experience with 610 cases of TTTS Michelfelder et al found an 8.7% incidence of RVOT abnormalities in the recipient twins but none in the donor twins (20). In this series pulmonary atresia was most common (46%) followed by pulmonary stenosis (35%) and isolated pulmonary insufficiency (19%). While two thirds of the recipient twins showed improvement of the RVOT abnormalities following successful fetoscopic laser surgery of the TTTS, a third persisted into postnatal life and often required balloon valvuloplasty. It has been suggested that these acquired structural lesions can progress even when function has improved perhaps due to endothelial damage leading to the development of a dysplastic pulmonary valve (20). The pathophysiology of RVOT abnormalities are thought to be due to altered flow in TTTS recipients with progressive dilation of the RV and diastolic dysfunction and worsening atrioventricular valve incompetence reducing flow across the pulmonic vlave leading to pulmonic stenosis, atresia or insufficiency. Although structural heart disease in the donor twin in TTTS is less commonly observed prenatally these babies appear to be at a greater risk of coarctation of the aorta. This is a difficult diagnosis to make prenatally (21). The mechanism of coarctation of the aorta in the donor twins is thought to be related to the relatively hypovolemic state resulting in reduced flow through the aorta resulting in reduced growth of the aortic arch. Postnatally there is an increased incidence of systolic and diastolic hypertension in both the donor and the recipient twins in TTTS (22). This appears to resolve with normalization of blood pressure by 10 years of age (23). Cardiovascular changes in the donor twin are usually less dramatic. Myocardial changes are rare, and ventricular function and atrioventricular valve competence are usually preserved (14). In several series of patients, absent or reversed end diastolic flow was noted prior to treatment in 12-39% of donor twins (24-27). The abnormalities in umbilical artery velocimetry are reversible; among survivors after laser therapy, 27-30% showed reappearance of end diastolic flow within 24 hours post-operatively (25,26). Abnormal umbilical artery Dopplers are more common in donor than recipient twins. There is a paucity of information concerning the long-term cardiovascular implications of TTTS. In addition, data on the effect of various treatment modalities for TTTS on cardiovascular compromise and progression is lacking. If treatment, whether amnioreduction or laser photocoagulation therapy, is successful there should be an arrest in the progression of TTTS cardiomyopathy and even reversal of existent disease. Progression of the cardiac findings suggests treatment failure either due to lack of response to amnioreduction or to a missed vascular connection with fetoscopic laser treatment. Specifically, progressive changes noted after amnioreduction include worsening hypertrophy of the right, left or interventricular septum (3,28,29). In addition, in one report RV systolic function stayed or became abnormal in the majority of patients (15/19 patients, 79%) whereas RV systolic function normalized in 1 recipient only (3). On the contrary, one small study reported improved cardiac function following amnioreduction (30) and another suggested altered progression of TTTS cardiomyopathy after laser photocoagulation (27). Finally, discordance of pulse wave velocity in brachial arteries of survivors of TTTS is altered with laser to be more similar to dichorionic controls, whereas the same alterations in vascular programming are not seen with survivors treated by non-laser methods (31). Increased pulse wave velocity reflects increased vascular stiffness. This study suggests that in utero vascular remodeling may be altered by definitive laser therapy. Numerous treatments for TTTS have been proposed including selective feticide, cord coagulation, sectio parva, placental blood letting, maternal digitalis, maternal indocin, serial amnioreduction, microseptostomy of the intertwin membrane, and nonselective or selective fetoscopic laser photocoagulation. For decades in the United States, serial amnioreduction had been the most widely accepted therapy for TTTS, but in the last decade selective fetoscopic laser photocoagulation has become the accepted standard of care with a much more limited role for amnioreduction and even less so for selective reduction. Amnioreduction was first employed for maternal comfort and as a means to control polyhydramnios in the hope of prolonging the pregnancy until the risks of extreme prematurity are lessened. In addition, amnioreduction improves uteroplacental blood flow, likely by reduction of pressure from the amniotic fluid. In uncontrolled series, amnioreduction improves survival compared to the natural history of untreated TTTS. Moise, in a review of 26 reports dating from the 1930’s of 252 fetuses, found an overall survival of 49% (32). The survival in more recent series, with more consistently aggressive serial amnioreduction to reduce amniotic fluid volume to normal, have ranged widely from as low as 37% to as high as 83% (33-38). However, these retrospective series are comprised of small numbers of patients from a range of gestational ages, as well as from a spectrum of severity of TTTS. Severity of TTTS and gestational age at diagnosis may have a profound impact on the observed mortality with any treatment strategy. The earlier in gestation TTTS presents, the worse the prognosis. Mari et al. found that patients presenting with advanced TTTS prior to 22 weeks’ gestation and absent end diastolic flow in the recipient umbilical artery had a survival of both twins with aggressive amnioreduction of only 13% and, with absent end diastolic flow in the donor umbilical artery, survival was 33% (24). Some centers in the United States and Europe advise against ever treating TTTS by amnioreduction because of the risk of chorioamniotic separation which they consider a contraindication to fetoscopic laser surgery. The risk of chorioamniotic separation is between 1 and 3% in ours hands and even when chorioamniotic separation occurs we have been able to perform fetoscopic laser surgery. In fact, we have treated several cases of global chorioamniotic separation by an extra-amniotic fetoscopic laser technique using hydrodissection. The outcomes in these cases have mirrored our outcomes with TTTS without chorioamniotic separation albeit with a mean gestational age at delivery 1-2 weeks earlier. The paradoxical resolution of oligohydramnios after a single amnioreduction was first suggested by Saade et al. to be due to inadvertent puncture of the intertwin membrane (39). Intertwin septostomy was specifically proposed as a treatment for TTTS to restore amniotic fluid dynamics without the need for repeated amnioreduction. One objection to this approach is the possibility it would result in a large septostomy, creating an essentially monoamniotic sac with the attendant risk of cord entanglement. For this reason, a fetoscopic “microseptostomy” has been proposed as an adjunct to fetoscopic laser surgery with 600 micron diameter to prevent this complication (see below). In a small multicenter series of 12 patients, Saade et al., reported an 81% survival with microseptostomy (40). However, not only was this series small and uncontrolled, there was no report of neurologic or cardiac morbidity. In a direct comparison, albeit a small retrospective single institution series, of serial amnioreduction versus microseptostomy, Johnson et al. observed no survival advantage with either therapy (41). This was confirmed by Saade et al. who reported the results of a multicenter prospective randomized clinical trial comparing amnioreduction to septostomy. The survival in each arm of the study was 65% (42) consistent with the notion that the effect of amnioreduction may be inadvertent septostomy. These studies, however, cannot prove this theory. Ultrasound guided septostomy with a needle has largely been abandoned due to the risk of creating a monoamniotic sac and cord entanglement putting both fetuses at risk. Dual fetal demise as a result of cord accident arising from cord entanglement has been reported following needle septostomy. The first treatment for TTTS that attempted to treat the anatomic basis for the syndrome was reported by DeLia et al. (43,44) who described fetoscopic laser photocoagulatation of vessels crossing the intertwin membrane. At least in theory, this treatment option should be superior since it not only arrests shunting of blood from the donor to recipient, but also halts transfer of potential vasoactive mediators. In his first small series, DeLia reported a survival of 53% in 26 patients (44). While survival was not significantly better than previous reports with serial amnioreduction, the “neurologic outcome” in 96% of survivors was “normal” as assessed by head ultrasounds. Other groups from Europe have reported similar survival with non-selective laser photocoagulation. Ville et al, reported 53% survival with a fetoscopic laser technique which was better than the survival observed with historical controls at the same center with serial amnioreduction (37%) (45). They also observed a lower incidence of abnormalities dictated by neonatal head ultrasound compared to historical controls. The non-selective fetoscopic laser technique photocoagulates all vessels crossing the intertwin membrane. This approach may be problematic, as the intertwin membrane often bears no relationship to the vascular equator of the placenta. This non-selective laser photocoagulation of all vessels crossing the intertwin membrane may sacrifice vessels not responsible for the TTTS, resulting in a higher death rate of the donor twin from acute placental insufficiency (46). More recently, a selective approach to fetoscopic laser photocoagulation in TTTS (Figure 3) has been described by Quintero et al. (46). Unlike the non-selective coagulation technique initially described by DeLia, the selective technique does not photocoagulate every vessel crossing the intertwin membrane. Only direct, arterial-arterial and veno-venous connections are photocoagulated along with any unpaired artery going to a cotyledon with the corresponding vein (and vice versa) going to the opposite umbilical cord. Vessels on the chorionic plate can be differentiated endoscopically because arteries usually cross over veins and are darker in color due to lower oxygen saturation (Figure 4). The Eurofoetus trial for TTTS conducted by Senat et al. (48) was the first prospective randomized trial that compares the efficacy and safety of treatment of twin-to-twin transfusion syndrome with laser therapy versus serial amnioreduction. Women presenting between 15 and 26 weeks gestation with polyhydraminos in the recipient twin and oligohydramninos in the donor twin were allowed to participate. Fifty-two percent of patients were stage I or II, 47% were stage III and 1% were stage IV. Enrollment was halted after a planned interim analysis revealed a significantly higher likelihood of survival of at least one twin to 28 days of age (76% versus 56%, P=0.009) and to six months of age (76% versus 51%, P=0.002) in the laser group compared to the amnioreduction group. More infants were alive without neurologic abnormalities detected on neuroimaging studies in the laser group as well (52% versus 31%, P=0.003). The overall survival in the laser arm was 57%. This is consistent with previous reports of non-selective fetoscopic laser (53%) (44,45), This is significantly lower, however, than the survival reported with selective fetoscopic laser (64-68%) (49,50). Of particular concern is the poor survival which was observed in the amnioreduction arm. The overall survival was only 39%, which is significantly lower than previously reported (60-65%) (24,42). Antenatal, peripartum and neonatal care was provided by the referring hospital and lack of standardization may explain some of these differences (51). The decreased survival in the amnioreduction group may reflect the higher pregnancy termination rate in the amnioreduction group (16 percent versus 0 percent in the laser group). The terminations were requested after the diagnosis of severe fetal complications; it would be instructive to know whether these women were offered cord coagulation as a means of rescuing one baby (51). Reliable assessment of neurologic outcome is critical when assessing efficacy of treatment for TTTS. While there was a lower rate of abnormality on neurologic imaging in the laser group (7% versus 17%), there was no long-term neurodevelopmental assessment. Quintero et al. retrospectively examined data from 78 patients treated by serial amnioreduction and 95 patients treated with selective laser photocoagulation with no significant difference in the distribution of patients by stage (49). Perinatal survival was not significantly different in the laser versus amnioreduction group (64.2% versus 57.7%). However, there was an inverse relationship between fetal survival and stage in the amniocentesis group but not in the laser group. For stage IV disease, there was a significantly lower fetal survival in the amnioreduction group compared with the laser group (20.6% versus 63.6%, P=0.001). This information has important implications for evaluation of treatment options and the development of stage based treatment protocols. Amnioreduction is easily available, less costly and less invasive; laser therapy is only available at select institutions and requires specialized training. While it makes sense to use the former where treatment options give similar results, it would be prudent to move promptly to laser therapy if in rigorous studies can prove laser has better short term and long term outcomes in the setting of advanced disease. One potential limitation to the success of laser treatment is the presence of deep vascular AV anastomoses that cannot be identified endocopically. In one study, vascular casts of 8 of 15 placentae (53%) demonstrated potentially significant atypical AV anastomoses such that two apparently normal cotyledons were actually communicating below the chorionic surface (7). A second type of atypical AV anastomoses was noted in 11 of the 15 placentae (73%) in which shared cotyledons arise within larger apparently normal cotyledons. One would be able to see these anastomoses as shared cotyledons on endoscopy; ablating these has the potential to destroy some surrounding normal cotyledon which, in the donor’s territory, could contribute to placental insuffciency (7). Crombleholme et al, reported the result of the NIH sponsored TTTS trial which differed significantly from the Eurofetus trial reported by Senat in that the subjects prior to randomization had to have failed to respond to a single amnioreduction to exclude cases of the single amnioreduction paradox of an incidental septostomy (52). This study was stopped after 40 patients were randomized to fetoscopic laser versus serial amnioreduction when an increase in recipient mortality was noted in the fetoscopic laser arm. This was balanced by similar neonatal mortality in the amnioreduction arm. The two most important findings of this study were that the delay in definitive treatment can allow TTTS cardiomyopathy to progress and secondly, that there is a 3 fold increase in recipient mortality with every point deduction in the Huhta Cardiovascular Profile Score used to define the severity of cardiac compromise. Several European centers had observed a high incidence of post-operative twin anemia polycythemia sequence (TAPS) and persistent TTTS. Studies by Lapriore et al suggested that there were a number of communicating placental vessels evident on placental injection studies that had been missed at the time of fetoscopic laser procedure (53). This led Oepkes and colleagues to suggest the Solomon technique as an adjunct to standard fetoscopic laser procedure in which after the communicating vessels had been identified and treated that the intervening area of placenta was photocoagulated to connect the areas of treatment and prevent small vascular connections from being missed (54). Slaghekke et al, reported the results of a prospective randomized study comparing the use of the Solomon technique to standard selective fetoscopic laser technique (55). They found that in 274 women randomized the Solomon technique resulted in a significant reduction in post-operative TAPS from 16% to 3% and persistent TTTS from 7% to 1%. This approach has been adopted by many centers in Europe and the United States. In our experience the incidence of post-operative TAPS and persistent TTTS is <<1% with our current technique. There are differences in the approach between the European centers and ours which may account for this discrepancy. First, we use a fetoscope with a slightly larger lens which may improve visualization of vessels particularly small vessels on the chorionic plate. In addition, we follow a mapping protocol which requires both operators to agree on the nature, size and location of all vascular connections. These are labeled and recorded intra-operatively during the first mapping. During the second mapping, each of the vascular connections are called out in sequence to be identified before being photocoagulated. Then a third mapping is performed to insure that no vessel has been missed and there has been no recanalization which can occur particularly in large vessels. Since the incidence of complications due to the persistence of vascular connections (TAPS and TTTS) is already <<1% we have not added the potential risk of laser photocoagulating the placental area between vascular anastomoses to avoid increasing the risk of PPROM. Echocardiographic data in TTTS shows that the recipient twin has significant hypertension, which results in progressive cardiomegaly, myocardial hypertrophy, and diastolic dysfunction. We reasoned that if we treated the fetal hypertension as an adjunctive medical therapy to fetoscopic laser surgery we may improve the recipient survival. We impirically began treating mothers of twins with TTTS with nifedipine for 24 to 28 hours prior to fetoscopic surgery and compared outcomes to mothers who were not teated with nifedipine. Nifedipine is the most commonly used anti-hypertensive agent used during pregnancy, crosses the placenta and achieves similar levels in the fetus as the mother. We treated 141 cases of TTTS with nifedipine and cpared them to 152 gesational age and stage matched controls (56). We observed a statistically significant improvement in overall fetal and neonatal survival with 90% survival with nifedipine and 82% (p<0.017) without nifedipine. There was no effect on donor survival and the survival benefit was limited to the recipient twins. In stage IIIA recipient survival was 100% with nifedipine versus 83% without and in IIIB it was 93% versus 74% without. This survival benefit was observed not just in acute post-operative survival but also neonatal survival. The improved recipient survival with maternal treatment of nifedipine was evident in the immediate post-operative period and there was no significant change in survival to birth suggesting the survival benefit was during the peri-operative period and was not related to tocolytic effects of nifedipine. We looked at the levels of brain-atrial naturietci peptide (BNP) in the amniotic fluid of control twins, versus TTTS patients treated with nifedipine versus TTTS patients not treated with nifedipine and found a significant reduction in BNP levels suggesting a reduction in myocardial strain in patients treated with nifedipine which may have contributed to the improved peri-operative survival (57). Some centers have taken the view that the most definitive approach to treating TTTS is selective reduction using fetoscopic cord ligation or coagulation. The rationale for this approach is that cord occlusion and sacrifice of one twin arrests the syndrome, prolongs the gestation, and maximizes the outcome for one twin. We have reserved this approach for instances where advanced TTTS cardiomyopathy has irretrievably compromised the recipient twin with no hope for salvage. In such cases, due to unequal sharing between the donor and recipient, the selective fetoscopic laser procedure may result in death of the donor twin from acute placental insufficiency within hours of the procedure and a recipient twin that dies from progressive TTTS cardiomyopathy. In this situation, fetoscopic cord coagulation may be the best option available. Cord coagulation preserves the vascular communications between the donor twin and the placenta in the recipient twin’s domain. In 16 of 17 such cases we have observed rebound fetal growth, restoration of amniotic fluid volume, and delivery of neurologically intact donor twin at a mean gestational age of 34 weeks. One survivor had grade I intraventricular hemorrhage but is otherwise doing well. The most common clinical presentation in which selective reduction is considered in the treatment of TTTS is in stage IV when the recipient twin develops hydrops. Many patients may be unwilling to consider this option because of personal, ethical, or religious reasons. In these cases selective fetoscopic laser photocoagulation may be a better option as it separates the fate of the twins but without sacrificing one or the other twin. We reviewed our experience with the management of stage IV TTTS among 769 cases there were 50 cases (6.5%). Among these 50 cases 2 declined treatment, 13 opted for selective reduction by radiofrequency ablation (RFA) and 35 underwent fetoscopic laser procedure. As would be expected there was a 50% survival in those cases being treated by selective reduction by RFA. Surprisingly, the overall survival with fetoscopic laser in these stage IV cases was 90% with 100% of cases having at least one survivor and 80% of cases having dual survivors. The donor survival was 100% and the recipient survial was 80% with resolution of hydrops and improvement in cardiac function. Further analysis showed that in stage IV TTTS if the recipient twin had pulmonic atresia combined with severe LV dysfunction the mortality is 80%. In contrast, if there is no pulmonary atresia or no LV dysfunction the recipient survival is 100%. In cases in which there was either pulmonic atresia or severe LV dysfunction the recipient survival with fetoscopic laser was 88%. Due to these results we rarely offer selective reduction for stage IV TTTS unless there is evidence on fetal MRI of brain injury or at the specific request of the parents. There is a broad range of severity in TTTS at presentation and not all cases warrant going immediately to fetoscopic laser surgery. In cases of TTTS manifested only by amniotic fluid discordance meeting criteria for Quintero stage I there is at least a 50% chance of the TTTS resolving spontaneously without any intervention. Because this propensity to spontaneously improve is limited to cases without evidence of TTTS cardiomyopathy we use fetal echocardiography to select patients with early TTTS for observation or amnioreduction as initial management. In cases in which the recipient DVP is < 10 cm we tend to favor observation but in cases in which the DVP is >10 we suggest a trial of a single amnioreduction. In a series of 585 cases, 212 were found to have no or minimal fetal echocardiographic abnormalities (ie Cincinnati stage I, II, III and IIIA). Of the 212, 158 had either observation alone or a trial of a single amnioreduction with ultrasound and fetal echocardiographic surveillance for signs of TTTS progression. The remaining 54 cases went directly to selective fetoscopic laser photocoagulation. Among those managed by observation alone 81% (38/47) spontaneously improved and did not require any invasive procedure. Among the 111 who underwent a trial of a single amnioreduction 55% responded with normalization of amniotic fluid volumes and arrest of TTTS. Those who progressed either by worsening polyhydramnios, development of Doppler changes or echocardiographic signs of TTTS cardiomyopathy in the observation group (19% 9/47) or the single amnioreduction group (45% 51/111) went on to have fetoscopic laser surgery. Progession was detected by fetal echocardiogram alone in 45%, ultrasound alone in 32% and on both studies in 23%. Survival in each of these groups was found to be the same. Those who spontaneously improved during observation only had an overall survival of 87% (66/76), those who had a single amnioreduction and responded had a survival of 86% (103/120). Those cases that went directly to fetoscopic laser surgery had an overall survival rate of 81% (87/108). In those pateints who initially were managed either by observation or a single amnioreduction but showed signs of progression of TTTSand subsequently underwent fetoscopic laser photocoagulation had an overall survival of 79% (95/120) which was not statistically significantly different from any of the other groups. The importance of these results are that there is no adverse consequences from either an initial period of observation or a trial of response to a single amnioreduction. By this approach we avoided the potential risks of more invasive procedures in 62% of cease with TTTS without cardiomyopathy. Among those who underwent amnioreduction, 9 developed chorioamniotic separation and all but 2 underwent subsequent fetoscopic laser surgery. At the time of this series we were no performing fetoscopic laser surgery in cases of global chorioamniotic separation, but now we are. Dr Crombleholme has treated TTTS using selective fetoscopic laser photocoagulation for 20 years and has performed over 1200 fetal surgical procedures making him one of the most experienced fetal surgeons in the world with this procedure. His most recently reported experience with fetoscopic laser treatment stratified outcomes based on the presence or absence of selevtive intrauterine fetal growth restriction (sIUGR). The table below lists the survival. These results highlight the impact of sIUGR on survival particularly of the donor twin. An additional factor which may influence the donor twin survival in the setting of TTTS complicated by sIUGR is how quickly the laser procedure is performed from photocoagulation of the first vessel to the last. During this period the perfusion of the placenta is altered and there can be an acute transfusion from the donor to the recipient twin. The long this interval the larger the transfusion is likely to be. It is not uncommon to see post-operative marked elevation of the donor MCA peak systolic flow velocity on Doppler indicative of anemia in the donor twin if the procedure takes too long. We studied the effect of laser time on fetal survival dividing cases into groups for which laser time was < 5 minutes, >5<10 minutes and >10 minutes. There was a striking impact on overall survival. There was no effect on recipient survival which was 92% in all groups. However, donor survival was inversely related to the duration of the laser procedure. In cases in which laser time was > 10 minutes donor survial was 78%, in the group >5 <10 minutes the donor survival was 85% and < 5 mnutes the survival was 92%. We speculate that in the setting of TTTS complicated by sIUGR and small donor placental share, that the donor twin can tolerate a small placental share but not a small placental share and acute anemia. As a result of these data we now specifically attempt to complete the laser procedure in less than five minutes and out average time is now less than 3 minutes. While much attention has focused on the effect of treatment on survival in TTTS, the neurologic morbidity among survivors is often under-appreciated. Due to the shared placental circulation, if death of one co-twin occurs there is an acute fall in blood pressure causing the placental resistance to fall. This drop in resistance across the placental vascular connections can result in a decrease in the cerebral perfusion pressure and ischemic injury in the brain of the surviving twin. Quintero et al. reported endoscopic evidence of feto-fetal hemorrhage from a recipient to donor twin within three hours of the spontaneous demise of the donor; these authors noted endoscopic and middle cerebral artery Doppler evidence of paradoxical anemia in the recipient and polycythemia in the donor (58). Brain injury, however, can occur in TTTS even when both twins survive. In the recipient with both surviving twins, neurologic damage could be related to secondary to polycythemia and venous stasis. In the donor, neurologic injury may be due to anemia and hypotension. The International Amnioreduction Registry tracked 223 women with TTTS diagnosed before 28 weeks gestation who were treated with serial aggressive amnioreduction (24). Of those infants who survived to 4 weeks of age and underwent clinically indicated cranial ultrasound, 24% of recipient (26/109 scanned) and 25% of donor twins (22/88 scanned) had abnormal findings. Findings included severe intraventricular hemorrhage, ventricular dilation, cerebral echogenic foci, cerebral cysts among periventricular leukomalacia among other less common lesions. Eighty infants died before reaching four weeks of age; how many of these would have had abnormal imaging if cranial ultrasonography had been performed is unknown. Among patients in the TTTS Registry from Australia and New Zealand, most of whom had been treated with amnioreduction, the rate of abnormal cranial sonography was similar at 27.3% (59). The rate of periventricular leukomalacia in this group was 10.8%, which is particularly important due to the association of this lesion with cerebral palsy. In another small series of patients treated with amnioreduction, the rate of abnormal neonatal cranial ultrasonography was as high as 58% (60). A few studies report longer term neurodevelopmental outcome. Importantly, survivors who develop neurologic handicap and mental retardation do not always have abnormal neonatal ultrasonography. Similarly, not all children with abnormal ultrasounds have clinically significant neurodevelopmental deficits. In one small study that followed TTTS survivors for a mean of 6.2 years (range 4-11 yrs), the incidence of cerebral palsy was 26% (5/19 infants) in the group treated by serial amnioreduction (61). All of these children had abnormal mental development in addition to motor deficits. Of note, three of the five children had normal neonatal head ultrasounds. In the combined cohort of children whose mothers had been treated with amnioreduction or conservative treatment, 22% (5/23) of the children without cerebral palsy or abnormal mental development had mild speech delay and required special education. One limitation to this and other studies is the lack of a comparable conservatively treated cohort group. Given the improved survival of TTTS babies with amnioreduction and other treatment modalities, however, it is unlikely that we will ever have such a cohort for comparison. Studying infants from pregnancies complicated by TTTS and treated with amnioreduction, Mari et al. detected a rate of cerebral palsy of 4.7% (2 of 42 infants) in those children who survived to more than 24 months of age (62). One reason for the lower incidence of cerebral palsy than in the study by Lopriore et al. (61) may be related to the latter study group having more severe disease given that all the patients were diagnosed before 28 weeks versus up to 33 weeks in Mari et al’s study. Of note, Mari et al.’s study also detected 9 survivors with mild speech and/or motor delay. Dickinson et al. studied the long term neurologic outcome of 52 children from 31 TTTS pregnancies who survived to more than 18 months (63); a majority of the mothers had been treated with amnioreduction. The comparison was a regional cohort of term and preterm infants, with the majority having been born very preterm. In addition, the TTTS babies were compared to matched singleton and twin control groups. The mean IQ of survivors with TTTS was significantly lower than the comparison cohort, mainly due to the decreased IQ of 13 points in those children born less than 33 weeks. There was no difference in rate of cerebral palsy (5.8% TTTS vs. 4.9% very preterm twins vs. 3.3% very preterm singletons) or behavioral tests in the TTTS survivors. This was a small study, however, and not sufficiently powered to demonstrate differences in cerebral palsy. Still, these researchers appropriately raise the issue that studies evaluating long term neurologic outcome in TTTS need to consider that most TTTS pregnancies are delivered very preterm as well as the fact that twins in general are more likely to be neurologically compromised. Even fewer studies have examined the long term outcome of survivors of TTTS treated with intrauterine laser photocoagulation therapy. Banek et al. reported that in 89 such children, 78% showed normal development at a median age of 22 months (64). Eleven percent had minor neurologic abnormalities including strabismus, mildly delayed motor development or mildly abnormal speech. The remaining 11% suffered significant neurologic deficiencies including cerebral palsy, hemiparesis and spastic quadriplegia. Of note, significantly more children in the neurologically impaired groups were born very preterm. Also of importance is that two of the most severely affected group had abnormal brain scans before laser treatment. The findings of this study are consistent with those of Sutcliffe et al. who reported a cerebral palsy rate of 9% in children after in utero treatment with laser therapy for TTTS (65). The Eurofoetus Trial (40), one of only two prospective randomized clinical trial published comparing serial amnioreduction to laser photocoagulation for the treatment of TTTS, suggests that laser therapy improves survival and neurologic outcome at six months of life. However, questions still remain in regard to which patients will benefit most from laser as well as how amnioreduction and laser therapy affect short term and long term cardiac and neurodevelopmental outcomes. In summary, a thoughtful approach to the management of TTTS requires consideration of every aspect of the presentation including gestational age, stage, Doppler findings, echocardiographic findings, concomitant placental insufficiency, and maternal risk factors. Until we have an effective medical therapy for TTTS, a judicious application of invasive procedures should be employed to optimize risk:benefit ratios for the mother and fetuses. Quintero RA, Morales WJ, Allen MH et al. Staging of twin-twin transfusion syndrome. J Perinatol 1999; 19: 550-5. Taylor MJO, Govender L, Jolly M et al. Validation of the Quintero staging system for twin-twin transfusion syndrome. Obstet Gynecol 2002; 100:1257-1265. Tan TYT, Taylor MJO, Lee LY et al. Doppler for artery-artery anastomosis and stage-independent survival in twin-twin transfusion. Obstet Gynecol 2004; 103: 1174-80. Michelfelder E et al. Abstract, American Academy of Pediatrics Annual Meeting 2005. Fisk NM, Borrell A, Hubinont C et al. Fetofetal transfusion syndrome: Do the neonatal criteria apply in utero? Arch Dis Child 1990; 65: 657-61. Wee LY, Taylor M, Watkins N et al. Characterisation of deep arterio-venous anastomoses within monochorionic placentae by vascular casting. Placenta 2005; 26:19-24. Mahieu-Caputo D, Dommergues M, Delezoide AL et al. Twin-to-twin transfusion syndrome: role of the fetal renin-angiotensin system. Am J Pathol 2000; 156: 629-36. Ichizuka K, Matsuoka R, Hasegawa J et al. The Tei index for evaluation of fetal myocardial performance in sick fetuses. Early Hum Dev 2005; 81:273-9. Gynecol 2005; 192: 892-902. Bajoria R, Sullivan M, Fisk NM. Endothelin concentrations in monochorionic twins with severe twin-twin transfusion syndrome. Human Reprod 1999; 14 (6): 1614-18. Bajoria R, Ward S, Chatterjee R. Brain natriuretic peptide and endothelin-1 in the pathogenesis of polyhydraminos-oligohydraminos in monochorionic twins. Am J Obstet Gynecol 2003; 189: 189-94. Rychik J. Fetal Cardiovascular Physiology. Pediatr Cardiol 2004; 25: 201-9. Yang SG, Tian ZY, Cohen MS et al. Fetal echocardiographic findings in twin-twin transfusion syndrome. J Am Soc Echocardiogr 2000; 13: 452 (abstr). Lougheed J, Sinclair BG, Fung KFK et al. Acquired right ventricular outflow tract obstruction in the recipient twin in twin-twin transfusion syndrome. J Am Coll Cardiol 2001; 38: 1533-8. Mari G, Roberts A, Detti L al. Perinatal morbidity and mortality rates in severe twin-twin transfusion syndrome: Results of the International Amnioreduction Registry. Am J Obstet Gynecol 2001; 185: 708-15. Martinez JM, Bermudez C, Becerra C et al. The role of Doppler studies in predicting individual intrauterine fetal demise after laser therapy for twin-twin transfusion syndrome. Ultrasound Obstet Gynecol 2003; 22: 246-51. Zikulnig L, Hecher K, Bregenzer T et al. Prognostic factors in severe twin-twin transfusion syndrome treated by endoscopic laser surgery. Ultrasound Obstet Gynecol 1999; 14: 380-87. Ville Y, Hecher K, Gagnon A. Endoscopic laser coagulation in the management of severe twin-to-twin transfusion syndrome. Br J Obstet Gynecol 1998; 105: 446-53. Karatza AA, Wolfenden JL, Taylor MJO et al. Influence of twin-twin transfusion syndrome on fetal cardiovascular structure and function: prospective case-control study of 136 monochorionic twin pregnancies. Heart 2002; 88: 271-7. Simpson LL, Marx GR, Elkadry EA et al. Cardiac dysfunction in twin-twin transfusion syndrome: a prospective, longitudinal study. Obstet Gynecol 1998; 92: 557-62. Fesslova V, Villa L, Nava S et al. Fetal and neonatal echocardiographic findings in twin-twin transfusion syndrome. Am J Obstet Gynecol 1998; 179: 1056-62. Gardiner HM, Taylor MJO, Karatza A et al. Twin-twin transfusion syndrome: the influence of intrauterine laser photocoagulation on arterial distensibility in childhood. Circulation 2003; 107: 1906-11. Moise KJ Jr. Polyhydramnios: problems and treatment. Semin Perinatol 1993; 17: 197-209. Rodestal A, Thomassen PA. Acute polyhydramnios in twin pregnancy. A retrospective study with special reference to therapeutic amniocentesis. Acta Obstetricia et Gynecologica Scandinavic 1990; 69: 297-300. Urig MA, Clewell WH, Elliott J. Twin-twin transfusion syndrome. Am J Obstet Gynecol 1990; 163: 1522-1526. Mahony BS, Petty CN, Nyberg DA et al. The “stuck twin” phenomenon: ultrasonographic findings, pregnancy outcome, and management with serial amniocenteses. Am J Obstet Gynecol 1990; 163: 1513-1521. Elliott JP, Urig MA, Clewell WH. Aggressive therapeutic amniocentesis for treatment of twin-twin transfusion syndrome. Obstet Gynecol 1991; 77: 537-540. Pinette MG, Pan Y, Pinette SG et al. Treatment of twin-twin transfusion syndrome. Obstet Gynecol 1993; 82: 841-846. Reisner DP, Mahony BS, Petty CH et al. Stuck twin syndrome: outcome in 37 consecutive cases. Am J Obstet Gynecol 1993; 169: 991-995. Saade GR, Olson G, Belfort MA et al. Amniotomy: a new approach to the “stuck twin” syndrome. Am J Obstet Gynecol 1995; 172: 429-434. Saade GR, Belfort MA, Berry DL et al. Amniotic septostomy for the treatment of twin oligohydramnios-polyhydramnios sequence. Fetal Diagn Ther 1998; 13: 86-93. Johnson JR, Rossi KQ, Shaughnessy RW et al. Amnioreduction versus septostomy in twin-twin transfusion syndrome. Am J Obstet Gynecol 2001; 185: 1044-1047. Saade G, Moise K, Dorman K et al. A randomized trial of septostomy versus amnioreduction in the treatment of twin oligohydramnios polyhydramnios sequence (TOPS). Am J Obstet Gynecol (Society for Maternal -Fetal Medicine. Oral presentation abstract 3): 187 (6), 2003. De Lia JE, Cruikshank DP, Kaye WR. Fetoscopic neodymium: YAG laser occlusion of placental vessels in severe twin-twin transfusion syndrome. Obstet Gynecol 1990; 75: 1046-1053. De Lia JE, Kuhlmann RS, Harstad TW et al. Fetoscopic laser ablation of placental vessels in severe twin-twin transfusion syndrome. Am J Obstet Gynecol 1995; 172: 1202-1211. Ville Y, Hyett J, Hecher K, Nicolaides KH. Preliminary experience with endoscopic laser surgery for severe twin-twin transfusion syndrome. N Engl J Med 1995; 332: 224-227. Quintero RA, Morales WJ, Mendoza G, et al. Selective photocoagulation of placental vessels in twin-twin transfusion syndrome: Evolution of a surgical technique. Obstst Gynecol Survey 1998; 53: 597-603. Hecher K, Plath H, Bregenzer T, et al. Endoscopic laser surgery versus serial amniocenteses in the treatment of severe twin-twin transfusion syndrome. Am J Obstet Gynecol 1999; 180: 717-24. Senat MV, Deprest J, Boulvain M et al. Endoscopic laser surgery versus serial amnioreduction for severe twin-to-twin transfusion syndrome. N Engl J Med 2004; 351: 136-44. Quintero RA, Dickinson JE, Morales WJ et al. Stage-based treatment of twin-twin transfusion syndrome. Am J Obstet Gynecol 2003; 188: 1333-40. Hecher K, Diehk W, Zikulnig L et al. Endoscopic laser coagulation of placental anastomoses in 200 pregnancies with severe mid-trimester twin-to-twin transfusion syndrome. Eur J Obstet Gynecol Reprod Biol 2000; 92: 135-9. Fisk NM, Galea P. Twin-twin transfusion – As good as it gets? N Engl J Med 2004; 351: 182-4. Quintero RA, Martinez JM, Bermudez et al. Fetoscopic demonstration of perimortem feto-fetal hemorrhage in twin-twin transfusion syndrome. Ultrasound Obstet Gynecol 2002; 20: 638-9. Dickinson JE, Evans SF. Obstetric and perinatal outcomes from The Australian and New Zealand Twin-Twin Transfusion Syndrome Registry. Am J Obstet Gynecol 2000; 182: 706-12. Denbow ML, Battin MR, Cowan F et al. Neonatal cranial ultrasonographic findings in preterm twins complicated by severe fetofetal transfusion syndrome. Am J Obstet Gynecol 1998; 178: 479-83. Lopriore E, Nagel H, Vandenbussche F et al. Long-term neurodevelopmental outcome in twin-to-twin transfusion syndrome. Am J Obstet Gynecol 2003; 189: 1314-9. Mari G, Detti L, Oz U et al. Long-term outcome in twin-twin transfusion syndrome treated with serial aggressive amnioreduction. Am J Obstet Gynecol 2000; 183: 211-7. Dickinson JE, Duncombe GJ, Evans SF et al. The long term neurologic outcome of children from pregnancies complicated by twin-to-twin transfusion syndrome. Br J Obstet Gynaecol 2005; 112: 63-8. Banek CS, Hecher K, Hackeloer BJ et al. Long-term neurodevelopmental outcome after intrauterine laser treatment for severe twin-twin transfusion syndrome. Am J Obstet Gynecol 2003; 188: 876-80. Sutcliffe AG, Sebire NJ, Pigott AJ et al. Outcome for children born after in utero laser ablation therapy for severe twin-to-twin transfusion syndrome. Br J Obstet Gynaecol 2001; 108: 1246-50. FIGURE 1. Schematic drawing showing several cardinal features of TTTS including oligohydraminos/polyhydraminos with a donor “stuck” twin and size discordance. FIGURE 2. Diagram showing the Cincinnati modification of the Quintero staging system and the sequence of progressive events in untreated TTTS. FIGURE 3. Fetoscopic appearance of the placental surface showing vascular connections after laser photocoagulation. FIGURE 4. Photograph showing fetoscopic appearance of vessels on the placental surface. Arteries cross over veins and are darker in color due to lower oxygen saturation.